Worcester, Mass. – Given the circumstance, this is was a baseball purists dream match-up. In a battle royale between two of the most reputable and top-level programs in Central Mass., Wachusett scored a pair of runs in the sixth en route to a 3-0 win over St. Peter-Marian on Tuesday afternoon. Riding the crest of an 11 game winning streak since the beginning of this month, St. Peter-Marian knew the outcome of their immediate future rested on how it performed during this most-crucial, and final week of the regular season. It all began on a scorching afternoon against the region's clear-cut, No. 1 team Wachusett Regional. While the Mountaineers appear to be on their way to the Super Eight for the first time since 2015, the Guardians are still on the bubble, along with a host of other schools. The win moves the Mountaineers to 19-1 while the Guardians drop to 13-5. St. Peter-Marian has three games left on its schedule, including a huge matchup with St. John's Prep on Saturday that will likely decide its Super Eight fate. 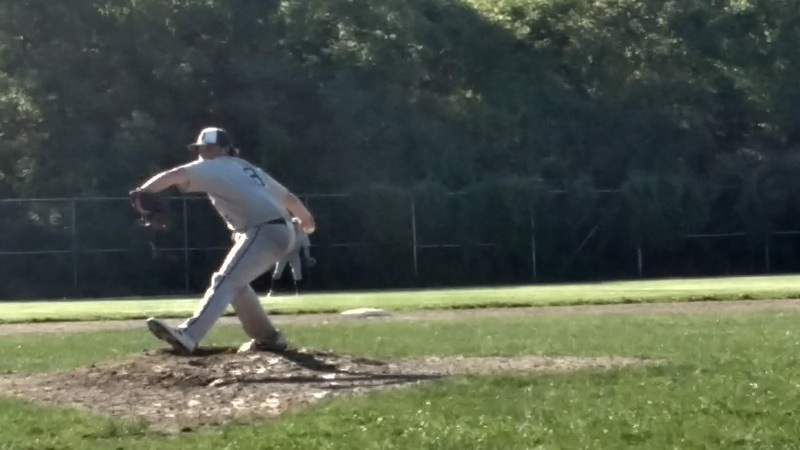 Carter Liston and Wachusett counterpart Barry Walsh dealt zeros throughout the early stages, but the Mountaineers were finally able to solve Liston in the sixth. 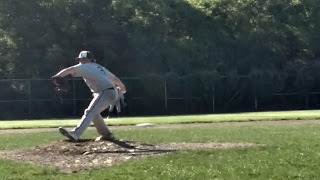 With one out, consecutive singles by Kevin Skagerlind, Mike Maher and Francis Ferguson made it 1-0 Wachusett. After Liston recorded the second out, the right-hander could not escape further damage as Walsh dropped a single into left, plating Maher with the Mountaineers' second run. "We started a bit slow but we seem to always find a way to pull through," said Walsh. "Once we get things going then the rest of the team gets involved. I continued to try to locate that first pitch for a strike in order to stay ahead in the count today. By doing that, that usually gets the other team to wonder what is coming next." St. Peter-Marian was unable to muster any offense against Walsh during his four innings on the mound as the righty stranded three base-runners. He also fanned six. Throwing just 62 pitches, the junior exited after the fourth inning with some arm tightness, giving way to Johnny Flynn. The senior allowed just two hits over the final three frames to seal the win. "Our entire pitching staff just tries to throw strikes because we have a lot of trust in our defense," Flynn said. "They can hit the ball all they want but we know our defense is going to be there to make the plays." Liston departed after six innings, allowing six hits and striking out one. He left after issuing a double to Liam Griffin and an RBI single off the bat of Flynn with nobody out before Guardians coach Ed Riley turned to reliever Frank Hernandez. “If you want to tie it down to something, we just didn't get any timely hitting. I don't think we played any worse of a game then what we have been playing all this month. If Wachusett is a Super 8 team then we should be in the hunt right with them." Playingsolid defensively, Wachusett continued to play with an aura of confidence. With a plethora of their games being won by double digits, the Mountaineers also showed they could win contests under some duress. In spite of their impressive overall mark, the Mountaineers have rarely been tested this season. But it no way does it diminished the type of year this club is having. With quality wins over Catholic Memorial, Shrewsbury, St. John's (Shrewsbury) and now St. Peter-Marian, the Mountaineers have proven they have the talent and drive to make a successful run at a state title.